Brightcove’s PLAY 2012 conference saw more than 500 Brightcove customers and partners gather in Boston June 25-27 for three phenomenal days of learning, networking, and fun. 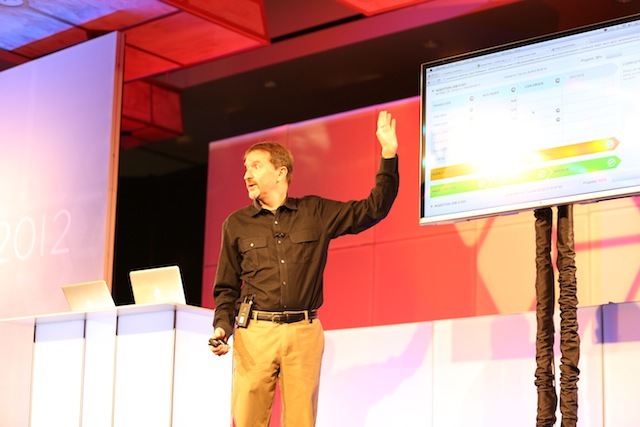 From action-packed keynotes and more than 30 information-laden breakout sessions to a vibrant exhibitor pavillion and scenic harbor cruise, there wasn’t a dull moment to be had at our second annual conference. Numerous Video Cloud and App Cloud technology demonstrations reflected significant updates and innovations that have been incorporated over the last year, while we also announced the direction Brightcove is taking with each product through further demonstrations of major platform enhancements and new product introductions. A new upload and transcoding platform that will feature faster, more efficient processing, greater visibility and communication with the user, and an open API that will allow users to create their own interfaces. Brightcove President and COO David Mendels walks PLAY 2012 attendess through a live demonstration of Brightcove's new upload and transcoding platform. Google Widevine support. As the only online video platform to be a Certified Google Widevine Integration Partner, Video Cloud can stream protected content to more than 500 million Widevine-enabled devices. Mendels showed Widevine-packaged studio content streaming from Video Cloud to an LG television set through an LG app as well as to his iPhone. New HMTL5 advertising partners, LiveRail, SAS, Sticky Ads TV, and Tremor. The ad networks join Google DoubleClick, while FreeWheel, VideoPlaza and YuMe are expected to follow. The integrations are in limited availability, and a new API is available that allows publishers to build the integrations of their choice. Brightcove’s new real-time analytics platform, which was built to increase users’ efficiency and deliver insights in real time. It also introduces new metrics that offer even deeper insights into content performance, and was built with HTML, providing users with a rich UI on any device. Mendels announced the analytics platform includes an open API that will empower users to build out their own UIs, integrations and mashups. 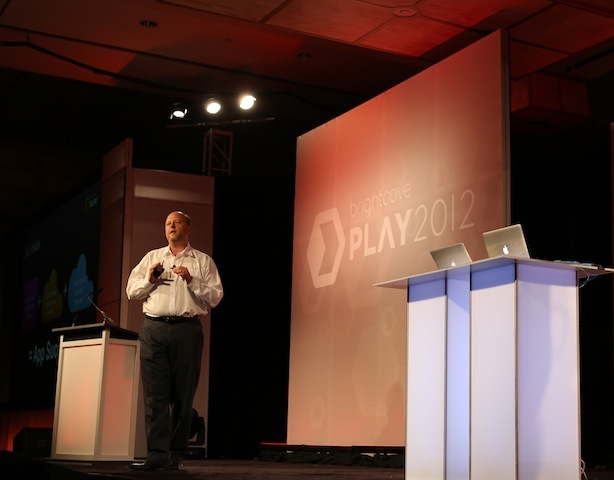 Jeremy Allaire, Brightcove’s Chairman and CEO, followed Mendels to share with attendees major news regarding App Cloud. In a move to “take the app economy and blow it wide open,” Allaire introduced App Cloud Core, a free edition of App Cloud that will make it possible for millions of high-quality, high impact apps to exist. App Cloud Core features an open source software development kit (SDK), powerful testing and debugging tools, unlimited cloud compilation and real-time analytics. The new edition of App Cloud provides an open source HTML5 mobile app development SDK and powerful cloud services for efficiently operating and managing apps. Brightcove Chairman and CEO Jeremey Allaire introduces the free App Cloud Core content app platform. Following the App Cloud Core announcement, Allaire introduced the App Cloud Dual-Screen Solution for Apple TV, which will enable media publishers to develop rich content apps for the iPhone and iPad that simultaneously control content, data and information presented on an HDTV while displaying synchronized content on the iPad or iPhone. The solution leverages Apple’s AirPlay technology, which allows viewers to use applications that simultaneously present content, interactive options and data on both the touch device and an Apple TV. PLAY’s opening day included an afternoon fireside chat featuring Jim Breyer, Erick Schonfeld and Jeremy Allaire discussing the future of digital media and the transformation of entertainment and marketing content across the Web, mobile devices and connected TVs. The three industry luminaries shared a fascinating range of insights touching on the shift of resources to mobile marketing and apps, the ideal dual-screen app, what content is most valuable, and much more. 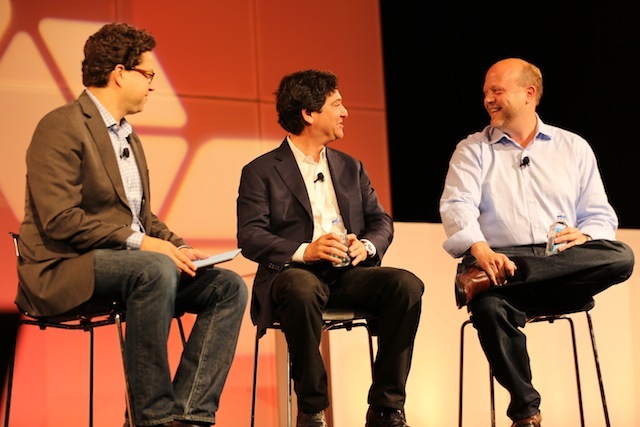 Erick Schonfeld, Jim Breyer and Jeremy Allaire enjoy a lighter moment during a wide-ranging conversation on digital media's future. The Brightcove partner ecosystem was well-represented in the busy PLAY Exhibitor Pavillion, which also played host to evening networking receptions. The Pavillion featured exhibits from Akamai, Adobe, Ektron, Lightmaker, Sitecore, KnowledgeVision, MixMoov, Ramp, Taboola, Videolink, 3PlayMedia, Aol, Cantina, dotSUB, DoubleClick, Fig Leaf, FileMobile, IBM, SubPLY, TinyPass and Veeseo. For more news on the Brightcove ecosystem and video interviews with Brightcove partners, visit the Brightcove PLAY section on Beet.TV. Meanwhile, PLAY keynote presenters like Akamai’s Paul Sagan and Adobe’s Jeremy Helfand painted a promising future for digital video in presentations highlighting strong growth potential for the industry overall bolstered by compelling data that spoke to online video quality and monetization. Creating a TV-like ad experience such as a mid-roll increases engagement nearly 30% higher than a pre-roll ad. Since formalizing a partnership two years ago, Brightcove and Akamai have joined to deliver three billion video plays and 244 million hours of content. More premium content moving online. Convergence of lean-in and lean-back content consumption. Worldwide adoption of mobile media. Americans will watch more streaming movies in 2012 than DVD and Blu-ray combined. New content drives 50% higher engagement. Pre-rolls account for 90% of abandons. Viewers are 5.5x more likely to abandon a video if it starts slowly (more than 2 seconds). 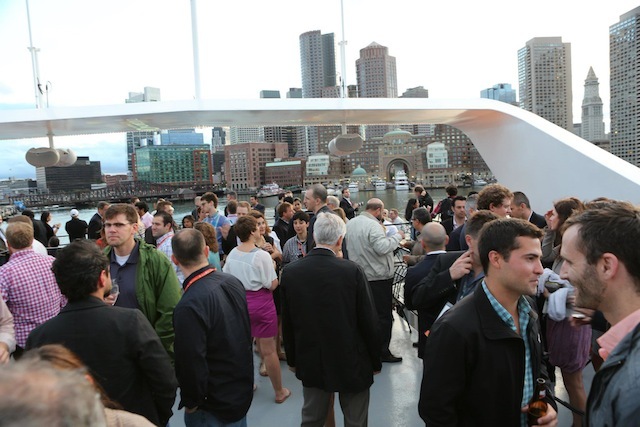 We couldn’t name the conference PLAY without injecting some fun, plenty of which was had during the networking receptions and Boston Harbor cruise aboard the Odyssey. Great conversation, food and scenery highlighted the PLAY Aboard the Odyssey cruise on Boston Harbor. Stay tuned to this space for information on PLAY 2013. In the meantime, all of the PLAY 2012 keynote presentations are available on demand at play.brightcove.com. We'll also post video of the breakout sessions along with additional wrap-ups of those panels shortly.